Eating // Cinnamon Crunch cereal. Not the breakfast of champions, but quick and painless. Drinking // Sierra Mist Natural. Reading // I finished up Northanger Abbey, by Jane Austen, this weekend for the Austen in August event. 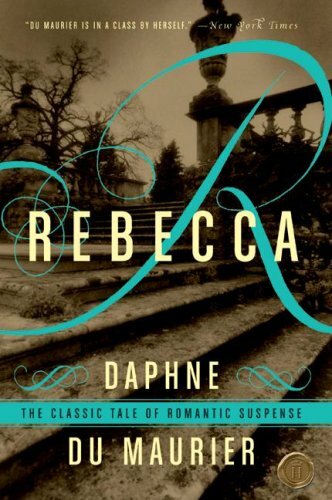 Now I'm reading Fangirl by Rainbow Rowell and Rebecca by Daphne DuMaurier. Watching and Listening // I am almost done with Orange is the New Black on Netflix. Absolutely hilarious and awesome all-around. David bought this one on audio, so we'll see how long it takes me to listen. Hating // Texas heat. Seriously. You can poach just walking outside. Anticipating // The Sparrow! The Dog Days of Summer Readalong! Bout of Books 8.0! How's your week starting out? Congrats on finding your dress! what an exciting moment! Thank you! It was very exciting. And much quicker/easier than I thought it would be. Monday is definitely not fancy. Fangirl! Rebecca! Awesome reading! I swear, Rebecca picks up. I'm so excited about the wedding dress! It's so purty!!! Now I have to find MINE! Woot! LOL, I can't wait to see what you pick for your dress, Heatheroo. Rachel is leaning coral, so you can do a blue or another hue of coral. Up to ya. Oooh, the dress! Congrats on finding it. My mom sewed mine for me and right before the wedding, I got horribly sick and lost weight. She had to take it in twice, bless her heart. Nice reads too. Can't wait to hear your thoughts on Fangirl and Rebecca! That's amazing that your mother could sew your dress. That talent passed my family over, for the most part. Oh yay for finding the dress! That's such a big milestone. It makes it so much more real. And I loved me some Fangirl, so I'm looking forward to hearing what you think! I thought it would be a big stressful undertaking, but I found like 3 dresses I liked and narrowed down from there! Fun fun. Fangirl is a lot of fun so far. I'm enjoying it less than Eleanor and Park, but I'm only 1/3 of the way in. We'll see how it all shakes out! Northanger Abbey, Rainbow Rowell and Rebecca, what a fantastic selection! I just watched all of Orange is the New Black too. Not I'm really curious about the memoir. Right?! So much fun reading going on. I'll let ya know what I think of the memoir if I can ever get further into the audio. They take me forever! I can't wait to see what you think of Fangirl. CONGRATS on finding your dress!!! Yes ma'am! David (fiance) watched the whole series and downloaded the audio. A little slow to start, but I've heard it picks up. I REALLY want to read/see Orange is the New Black! I'm about half way finished with OITNB and I want to read the book so bad now! I'm really curious how much well the show aligns with the book - you'll have to fill us in! I've been watching your weather and I feel for ya! As I recall, it just doesn't cool off in the evening, which makes it even more unbearable. We've been having such a strange summer up here. This weekend we were in the 70s! Still getting a lot of rain, which is nice. Our lawn has never looked so nice in July, let alone the beginning of August. Almost feels like we might get a long autumn. Fingers crossed! 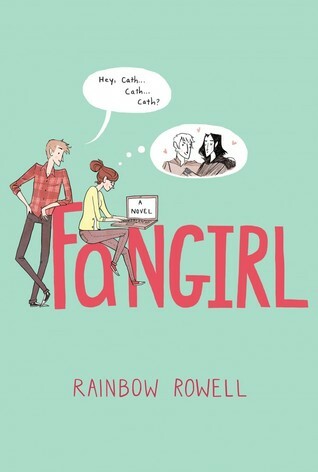 I'm very envious of that Rainbow Rowell book! Hope it's as good as Eleanor & Park. OMG it's hot. Hot hot HOT. I'm glad y'all have had a milder summer. Ours really wasn't too bad until August kicked in, but it's making up for any mildness now. I cannot find your e-mail address! I want to send you a pic! So RR's book must be good if your stayed up way too late. Can't wait to read it! I sent you an email a week or so ago (about Rod's book). Do I have your current addy? I'm right there with you regarding the Texas heat. I'm over it! 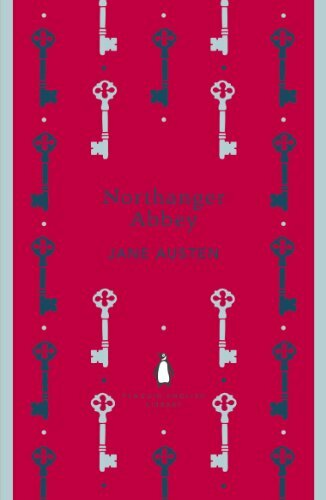 Can't wait to hear what you thought of Northanger Abbey. SO over it. So so. Northanger Abbey was super cute! I'll post a review next week. Congrats on picking a dress! That must be a relief to have done. It is a huuuuge relief, and it was a much simpler, more pleasant process than I'd expected. Yay for wedding dress success! I haven't read Northanger Abbey in a few years. Need to add that to the reread soon list. 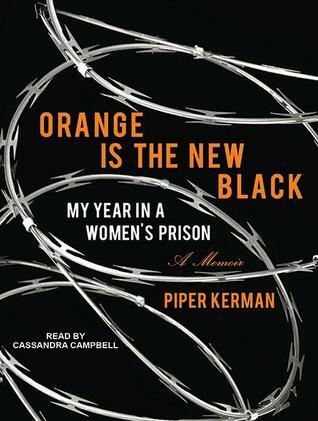 Love, love Orange is the New Black so need to get the book soon! YAY! Really enjoyed Northanger Abbey, and I have Persuasion next up on my pile. I was hoping to get to it this month, but it might be September before I can tackle it. Texas heat is the worst! I'm a baby (which is probably why I'm in Cali). ;-) Congratulations on finding your wedding dress! I realllllly want to watch Orange is the New Black as well. I'm sure I'll get around to it soon :D Congrats on finding THE dress, yahoo!! It's super fun. David and I both have whipped through it. The boyfriend and I watched the first episode of Orange is the New Black and were a little bored by it. But everyone who has watched the series really liked it. Does it get better? It definitely picks up. Try some more! Can't wait to hear your thoughts about Fangirl! I finished it last night, Lisa. It was a fun read, though I don't think it lived up to E&P.